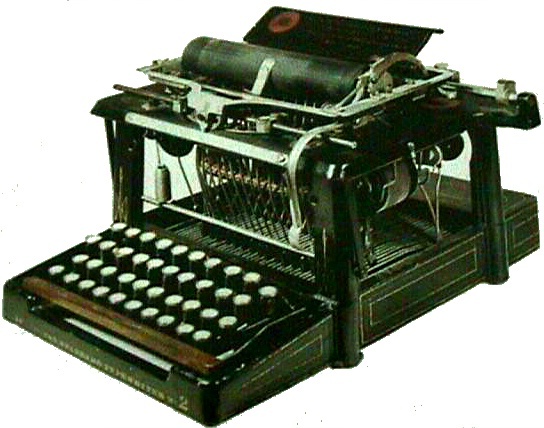 Remington Nº2, c. 1878. O primeiro modelo a ser comercializado em larga escala. La sortie de l’usine, Auguste Lumière e Louis Lumière, 1895. Primeira fotografia, por Joseph Nicéphore Niépce (c. 1826). In contrast to the arts, media do not have to make do with the grid of the symbolic. 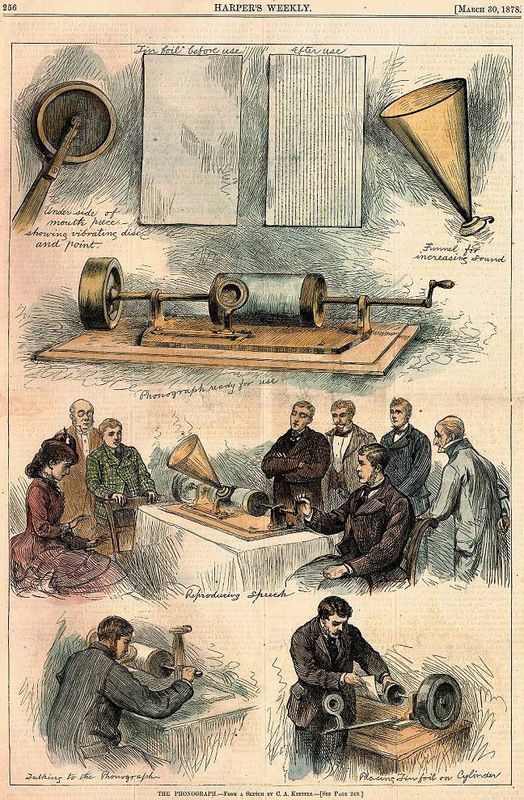 That is to say, they reconstruct bodies not only in a system of words or colors or sound intervals. Media and media only fulfill the “high standards” that (according to Rudolf Arnheim) we expect from “reproductions” since the invention of photography: “They are not supposed to resemble the object, but rather guarantee this resemblance by being, as it were, a product of the object in question, that is by being mechanically produced by it – just as the illuminated objects of reality imprint their image on the photographic layer,” or the frequency curves of noises inscribe their wavelike shapes onto the phonographic plate. A reproduction authenticated by the object itself is one of physical precision. It refers to the bodily real, which of necessity escapes all symbolic grids. Media always provide the appearances of specters. 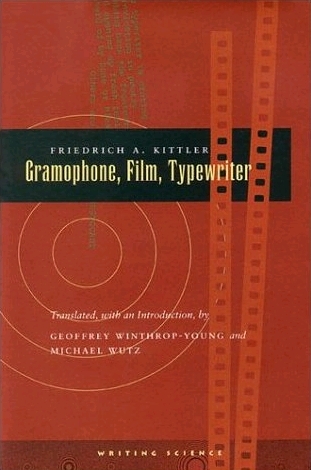 Friedrich A. Kittler, Gramophone, Film, Typewriter, Stanford, CA: Stanford University Press, 1999 [1ª ed. alemã, 1986], pp. 11-12.